Check Out The Mouthwatering Delights & Desserts From The Special Winter Menu At FIRE @ The Park, CP! A new season calls for a fresh new menu and The Park’s award winning restaurant FIRE is happy to present a new Winter Menu which is almost wholly natural and organic (as always)! For colder days and longer nights, they’ve added a host of winter specials featuring seasons beets, baby carrots, nasturtium flowers, roselle fruits and lots more. You’ve got to go indulge in familiar and forgotten flavours that celebrate their diversity and traditions! To Sweeten The Palate | Disclaimer - Do Not Miss These! Our most beloved winter dessert, the warm Gajar Halwa Tart here is served with Rabri Gelato, Pistachio and Macaroons *wow*! 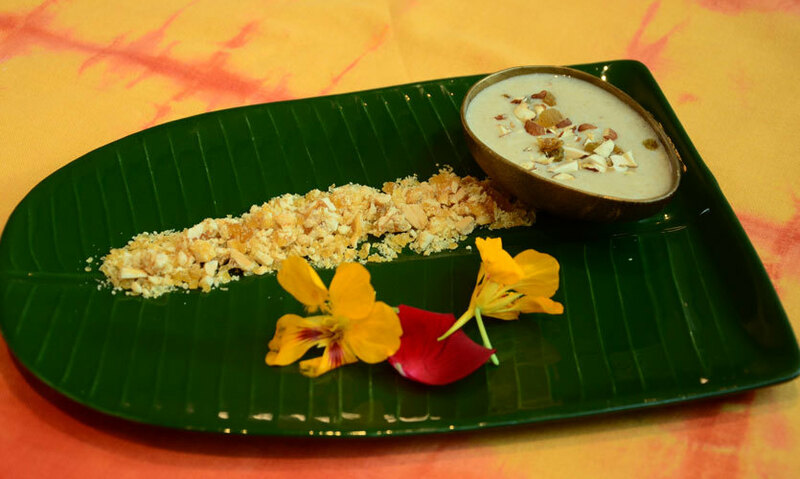 Also try West Bengal’s Notun Gur and Gobindobhog Payesh, with Peanut Nougatine Crumble! FIRE has been known to present Indian food in a contemporary style, to reflect the way we in India eat now and the new menu is the precise reflection of that. Go try the new menu ASAP!